Convert and decrypt eBooks purchased from Amazon Kindle, Kobo, Sony etc. 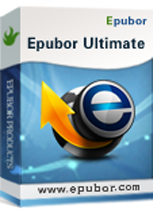 As the best DRM Removal and eBook Converter, Epubor Ultimate can decrypt and convert eBooks purchased from: Amazon Kindle, Kobo, Sony, Google Play, Barnes & Noble Nook, Smashwords, and so on. Epubor Ultimate is the first and only tool on the market that can decrypt and convert Kindle KFX DRM directly and losslessly. This software includes a 1-year license with free upgrades and technical support. But here you can get special discount price with 60% OFF (just $20.00 instead of $49.99) for a Lifetime license. Buy now? The combination of Kindle DRM Removal, Adobe EPUB & PDF DRM Removal, Nook DRM Removal and Kobo DRM Removal which can cover 80% of the eBooks on the market. Get it now with 40% OFF today! (only $11.99 instead of $19.99). The fastest and best AA&AAX to mp3 converter forever. 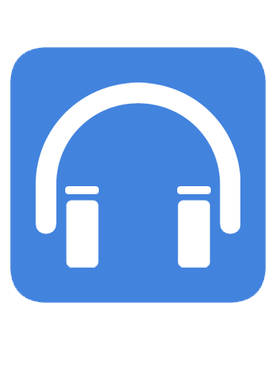 Remove and convert the DRM protected Audible audiobooks. Get it now with 40% OFF today! (only $11.99 instead of $19.99). An all-in-one tool fits all your eBook needs, including the best eBook Manager, eBook Converter, Device Transfer, eBook Reader and eBook Editor functions. Naomi , This is done via add-ons. How does the 1 year licence work in this case. Does it just stop working and you have to purchase, or does it still work but you can't get upgrades? Dawn, apparently it is just for one year, then stops working. I say this because I had Epubor Ultimate from an earlier giveaway, perhaps a year ago. Yesterday when I tried to use it, I was given a message that my trial period was expired and I needed to purchase a license. I uninstalled it at that point. Iris, please correct me if I'm wrong.